The clip shows the cabins and hallways where passengers slept, ate and partied on their journey from Southampton to New York. It also reveals cooking utensils, bottles and cutlery, in a room where it is likely chef’s prepared meals for their wealthy passengers. Another angle displays the sheer size of the vessel – which remains a shipwreck near the Canadian island of Newfoundland. The world’s largest Lego Titanic replica is 24 feet long and five feet tall — and it was built by a very special boy. Fifteen-year-old Brynjar Karl Birgisson is on the autism spectrum, and he developed a passion for learning about the Titanic at a young age. When he turned 10, Brynjar decided to combine his passion for the Titanic with his other love: Legos. The painstaking task took 700 hours over 11 months and 56,000 Lego bricks to complete, but when he was finished, Brynjar had built the world’s largest Titanic replica made out of Legos. 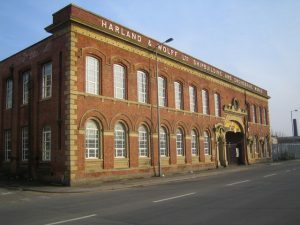 Henry Aldridge & Son offered the lots at its Titanic & Liner Auction on April 21, which made an overall auction total of around £330,000. 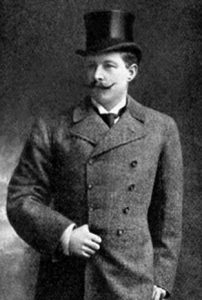 The menu for the first meal served on the ill-fated ship had been owned by Titanic second officer Charles Lightoller, the most senior member of the crew to survive the Titanic disaster. It sold for a hammer price of £80,000, a record for a menu from the ship. The menu was previously auctioned in 2003 when it sold for £28,000 at Sotheby’s, and a similar menu, with a strip missing at the bottom and owned by fifth officer Harold Lowe, sold at £51,000 at Aldridge’s in 2004. 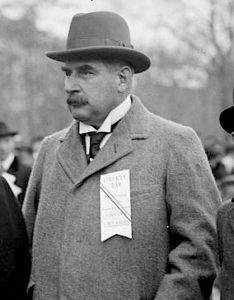 The story of Jack Phillips, the Titanic hero from Surrey, is a well-known one. 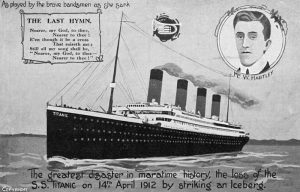 The 25-year-old Godalming-born telegraphist was aboard the Titanic when it hit an iceberg on April 14, 1912. He stayed at his post until the ship sank, frantically contacting nearby ships and saving hundreds of lives. More than 1,500 people drowned but the Carpathia, a ship alerted to the Titanic’s plight by the signals, picked up 705 survivors. Jack sadly died during the disaster but his co-worker Harold Bride survived to tell the story. Following the 106th anniversary of the catastrophic sinking, Titanic enthusiast from Guildford, Mia Fernandez, 30, claims there is a part of the story that is rarely remembered. It was White Star Line who paid for the headstones that went up during the autumn of 1912. The Titanic bodies, those not claimed by relatives, were divided between three different graveyards, the biggest share going to the Fairview Lawn Cemetery. Here, 121 bodies are buried with 42 remaining unidentified. A gentle sloping of the ground made it necessary to lay the headstones out in three curved lines, reminiscent of the curve of a ship’s bow. One of the Titanic occupants is Jack Dawson whose grave, thanks to Leonardo di Caprio’s fictional namesake in the 1997 film Titanic, perhaps rivals Jim Morrison’s grave in Père Lachaise with hundreds of visitors leaving flowers and trinkets around it. The second graveyard, the Mount Olivet Catholic Cemetery’s Titanic plot contains 19 victims, including Mrs Margaret Rice from Athlone, Ireland, who was travelling with her five young sons, none of whom were ever found. Four victims were never identified. That man would be one of six Chinese passengers who survived the Titanic, a little-known fact about the historic disaster that has largely remained untold or distorted, owing to a racially hostile environment toward Chinese people in the West at the turn of the 20th century. Now, the lives of these men — who they were, how they survived that fateful night and why they were barred from entering the United States — are being examined in a new documentary, “The Six,” by Arthur Jones and Steven Schwankert. The Great Lakes Titanic Connection will reveal the Michigan Titanic Memorial in Marine City on May 12, the Times Herald reported . 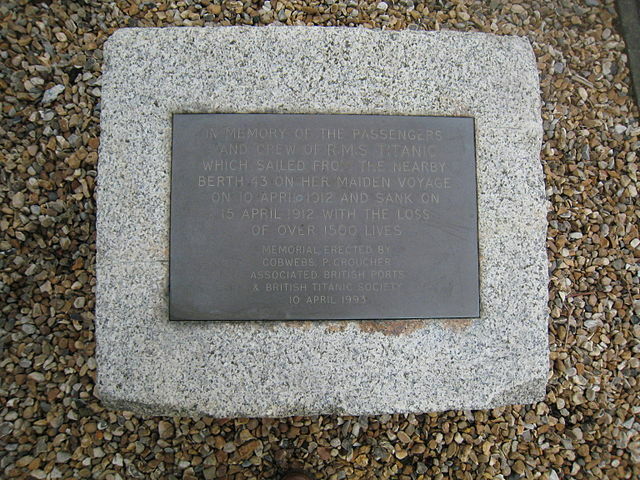 The memorial will list the 69 names of the passengers headed to Michigan who were among the 1,500 who died while sailing from Southampton, England, for the United States in 1912.The group raised $6,500 to pay for the memorial. The idea began when Margaret Micoff started collecting Titanic memorabilia for her boutique clothing store. 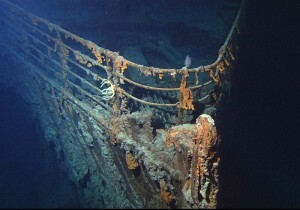 She studied the Titanic’s history and stumbled across a community of people who were also fascinated with the story. “When you have that many people, and nobody has done a memorial like other states have done, I thought we should,” Micoff said. 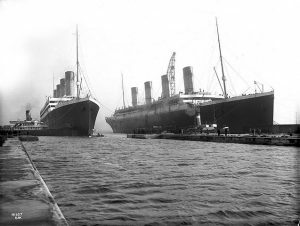 Deanna Ryan-Meister, president of the Titanic Society of Atlantic Canada, says she’s not surprised the disaster is still holding peoples’ attention after more than a century. She says it’s important to continue to honour those who started their voyage with hope and ended it with tragedy.